What we have here is a track that is bound to get far more attention because it was released this week instead of last, and I’ll tell you why: Drake. Last week, iLoveMakonnen went from being a relatively unknown musician on the international scene to appearing on every major urban music blog after October’s Very Own, the one and only Drake, made an appearance on the young crooner’s “Tuesday.” I won’t say that his latest track is better than that single, but it certainly offers us another reason to keep iLoveMakonnen on our radar a little while longer. 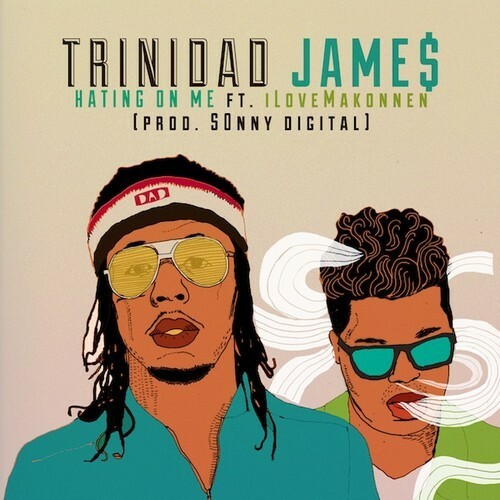 “Hating On Me” continues former major label recording artist Trinidad Jame$‘ return to the national spotlight. The song, which features iLoveMakonnen on the hook, finds Jame$ letting listeners into the reality of his world. It’s not a vast lyrical departure from his other recent singles, but there is an added bit of infectiousness thanks to iLoveMakonnen’s smooth contribution. You can stream the song, in full, at the end of this post. Trinidad Jame$ will release 5PC Mild, his first album since being released from his deal with Def Jam, sometime in September. Stay tuned.